We’ve come a long way since 2005, when the DOC first started to spread our wings. 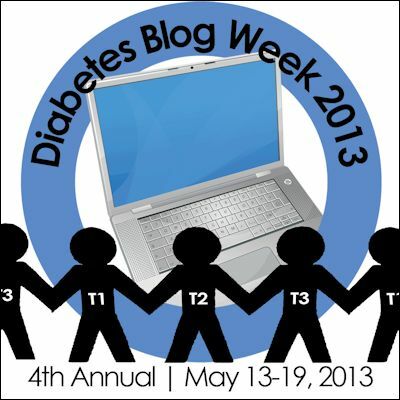 Bigfootchildhavediabetes – I’m not a mom of a Type 1, but I am a mom. Some of what she says made me laugh so hard that I cried. Rolling in the D – I’ve been reading Scott’s blog for a while and this post had me smiling despite the horrible low he had. If you haven’t read his blog, you need to. Smart guy. Makes me think long and hard about things that I should have long ago. Fifteen Wait Fifteen – She started her blog this week. I’m already hooked. (And her baby? Ohhhh… that picture…) Head on over and say hello. Honestly, Christel. Between “Bertucci’s Satanic Pizza” and “Xena, the Warrior Schnauzer”, I have no business being included in the company of these two talented writers. Great recommendations, Christel! I love those guys, too.